It’s a bittersweet end. The Carolina Boat Shows mark the end of the boat show season. 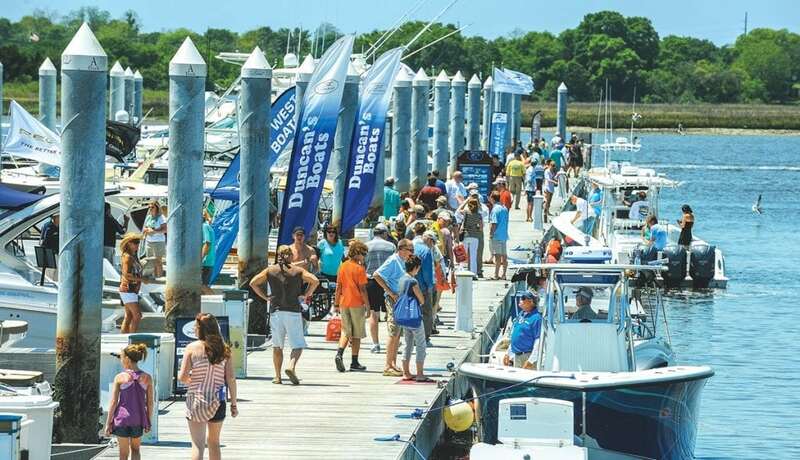 Enjoy the last in-water boat show in the Southeast as the Carolina boat shows bring the season to a close with two well-established events. The Oriental In-Water Boat Show takes place April 13-15 in Oriental, North Carolina. Oriental is a favorite stop on the ICW and is the Sailing Capital of North Carolina. With exhibitors attending from Virginia to Florida, boaters will have access to a wide variety of boats, accessories, and services. All of the show activities are located in the center of town at the Oriental Village Marina. boats, you’ll see the latest fishing and pleasure boats perfectly suited for the Lowcountry waters. Shoreside vendors will also have the most recent fishing and boating accessories.